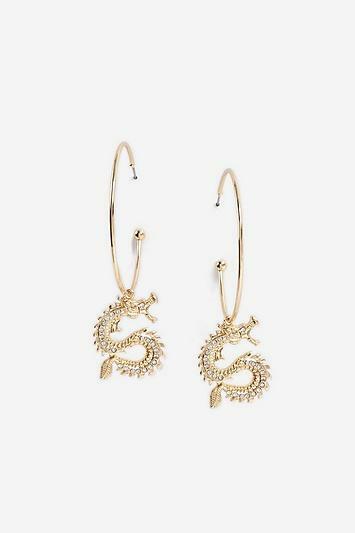 Gold Look Hoop Earrings With Rhinestone Dragon Drop Detail. Total Length Measures 7Cm. By Freedom At Topshop. 100% Metal.